I guess Halloween is the day where we eat the most sweets. Next to Christmas and Easter and birthdays of course 🙂 SO, since I am from a country where we don’t celebrate Halloween, I thought I bring in a scary guest post from a real American lady. I know Liz from Sproutedroutes for a long time and we decided that we would come up with two different healthy, vegan Halloween treats. 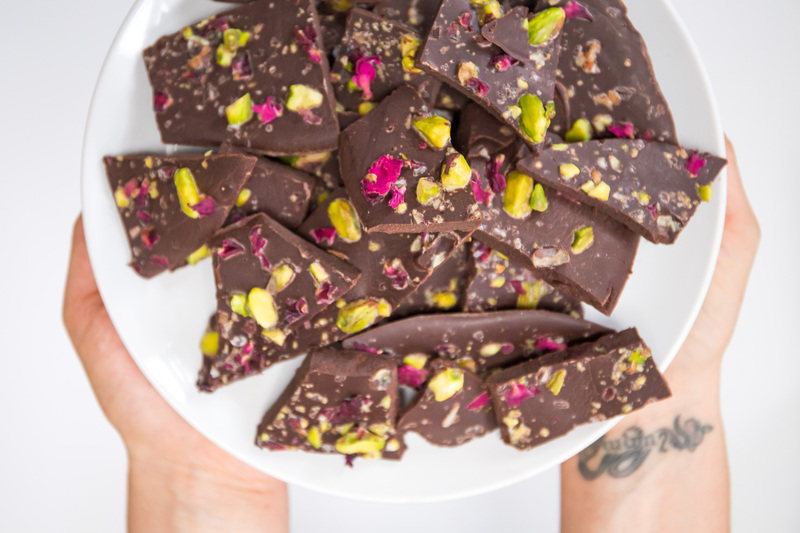 You can find Bloody Peanut butter Jelly Cups created by moi, on her page and below a Rose Pistachio Chocolate Bark with a few words from Liz. I love Halloween, but I confess: I’m not one of the people who’s into the blood and guts and gore. My costumes tend towards silly (there was a year my now-husband and I were hipster mimes), while my treat tendencies veer towards anything chocolate. 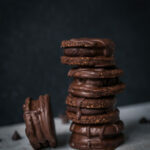 While I loved Reese’s and Kit Kats when I was younger, as I’ve gotten older, I’ve grown to love more exciting flavors – and, of course, wonderful health benefits. 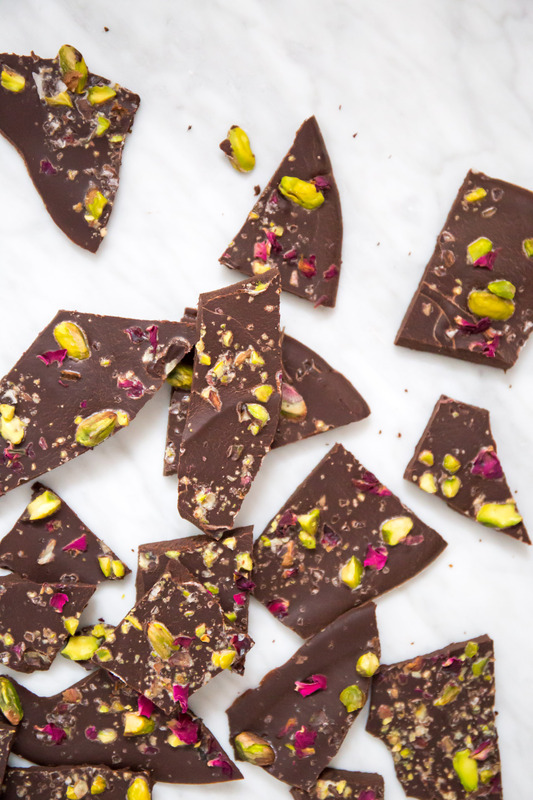 This Pistachio Rose Chocolate Bark is the ultimate grown-up Halloween treat, with sophisticated, decadent flavors – and tons of health benefits to boot. Unlike traditional store-bought chocolate, this recipe maintains all of the antioxidants and healthful compounds that make cacao a superfood. 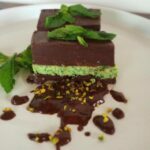 These chocolate bars are also vegan and refined sugar free, plus shockingly easy to make – give it a try, you’ll be surprised! 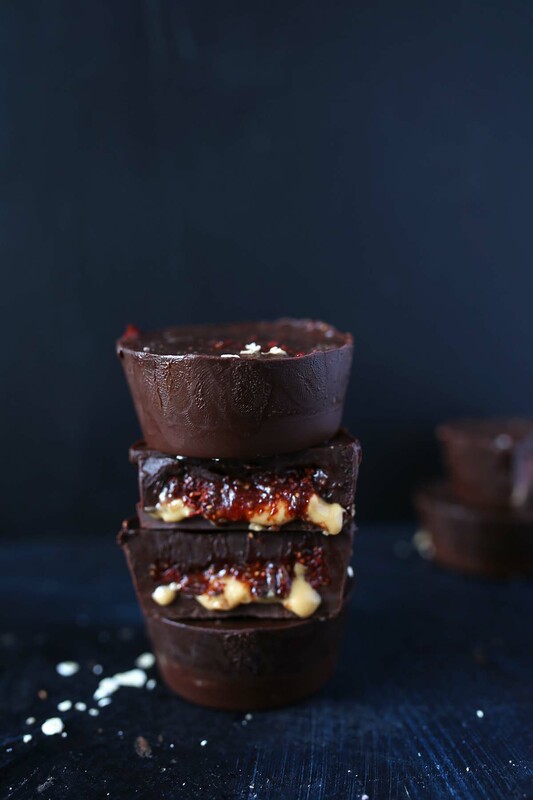 And of course, if you want to check out Lara’s AMAZING healthy Peanut Butter & Jelly Cups, head on over to my site, SproutedRoutes.com. 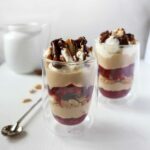 You’ll get her recipe – which will satisfy any gory Halloween preferences you have – plus tons of other super healthy, super delicious recipes, like Healthy Snickers Pie, Chocolate Chip Cookie Dough you can eat with a spoon, or a Pumpkin Pie Chia Pudding that makes the world’s most heavenly breakfast. Now, here’s the bark recipe! May your Halloween be full of only the best treats, and minimal unwanted tricks! Using a double boiler or the microwave, melt the cacao butter completely. Whisk in cocoa powder, maple syrup, vanilla and rose water, then spread on a parchment lined pan until about ¼" thick (think chocolate bar size, just eyeball it!). 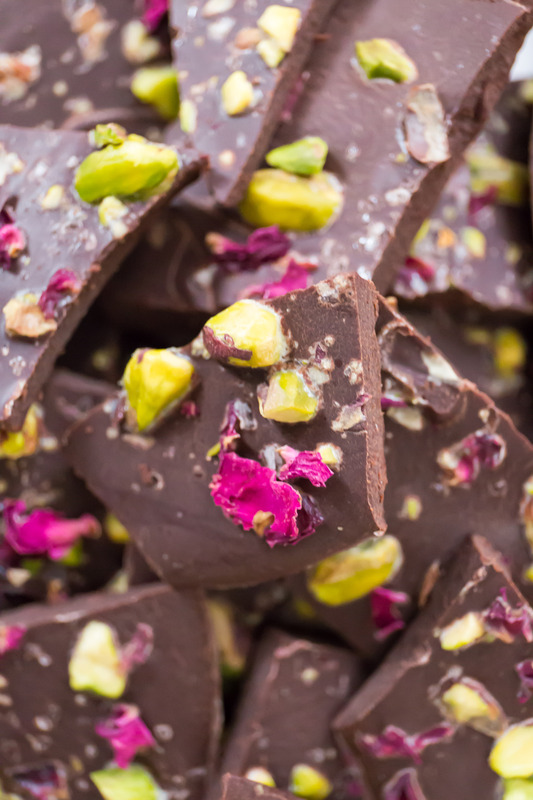 Sprinkle with pistachios, rose petals and flaky sea salt, then put in the fridge to set. After it's set, break it up into smaller servings. This will keep in a cool room for 3 days or so, but I prefer to keep it in the fridge for up to a week.